KOO was asked to act as architect and designer for Water Street Lofts in Rockford, Illinois. Injecting new vitality into Rockford’s urban renewal program, this 53,000-square-foot mixed-use residential project fronts Rockford’s historic riverfront. 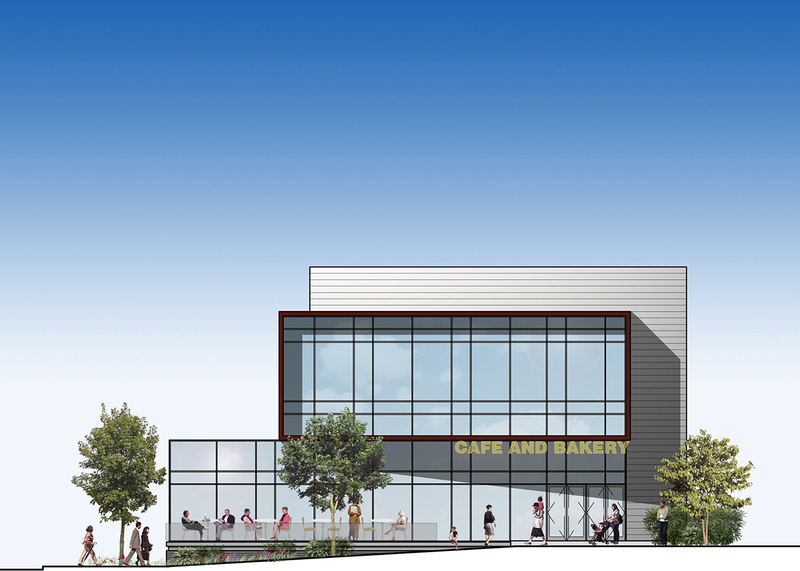 It combines retail, housing and office in a very effective repurposing of space — with the city and developer working together to adapt an existing two-level parking structure to provide 22 housing units and 12,000 square feet of retail and office space. 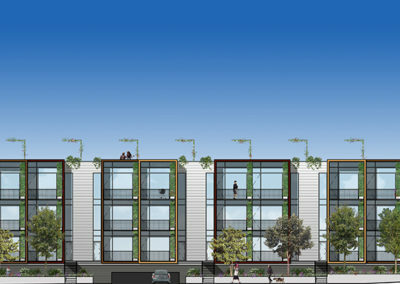 The design is anchored by a brick plinth — which shields the existing parking structure from view — topped with a series of townhomes. The office component forms a dramatic cantilever, creating a monumental canopy for the retail space.